Welcome back everyone. 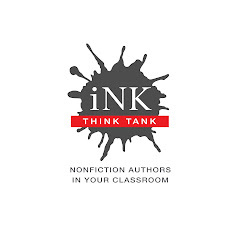 I hope you’re looking forward to the new school year where the focus is on nonfiction. Here’s where you can learn how it can enhance your life and your students' from the people who eat and breathe it on a daily basis. How do you learn best? When you know the answer to this question you have the secret to life-long learning and a rich life of discovery and skill acquisition. There is, perhaps no more important knowledge for each individual to acquire. I wrote a post about my process. Since this blog's theme this month is "Life Changing Nonfiction: Past and Present," I’m going to discuss one very important way of learning, the way I LOVE to learn and that’s by doing. I am the product of a progressive elementary school that emphasized experiential learning. It carried over to my life at home as a parent, as a teacher and as a nonfiction author. When I was a kid, my mother made me stay in bed when I was sick. I didn't mind because I loved to read, but more importantly, I loved to do projects. 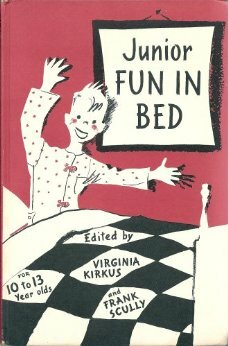 The book I remember most was called Junior Fun in Bed and it was edited by none other than Virginia Kirkus, who started the "Kirkus Reviews." I remember thinking that the title was odd. Why did they have to put in the word “Junior,” which wasn't all that common back in those days? Why didn't they just call it “Fun in Bed?” Childhood back then was definitely more innocent! This book kept me busy. The best things were the activities where I made something. In the process, I learned how to read to follow directions, an important life skill. As a mother of small children, I retired from teaching, and scrambled to earn money at home writing nonfiction for children. My first books were literally First Books—on Logic, Cells, and Gases. I had also written a book on economics: Making Sense of Money and navigation: Sense of Direction: Up Down and All Around. Now, thankfully, all of them are out of print; I use them as excellent examples of bad traditional writing. The book that put me on the map was the sixth book I wrote: Science Experiments You Can Eat. It was my first activity book. As a NY State certified high school science teacher, I knew enough settled science to take a very creative approach to research—prowling up and down supermarket aisles and reading labels to invent experiments. I did every experiment in the book, some of them several times to make sure that they gave results and to hone the procedures. The purpose of this book is to teach basic science—chemistry, physics, and biology—through food and food preparation. It was an instant hit with its outside-the-box title and has had proven staying power because it is strong on content and stays true to its purpose. Published originally in 1972, it was revised once and has never been out of print. That's 41 years! In preparing this post, I read some of the recent reviews on Amazon from many people who remember this book as a child and are sharing it with their grandchildren! There were also reviews by teachers who are still using it in class. I'm proud that it is still very relevant and providing as much fun as ever. But it is not a book just to read. It's a book that calls the reader to do.